Your Mattress... Your Choice Sleep Options: healthier options for a great night’s sleep. 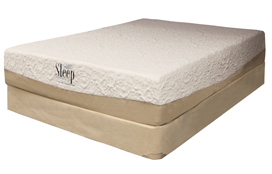 You can choose between conforming Memory Foam or Gel Foam to create your perfect night's sleep. 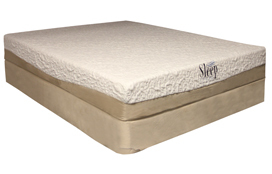 A Sleep Options Memory Foam mattress offers superior pressure relief that can dramatically diminish tossing and turning for a more restful sleep pattern. A Sleep Options Gel Foam mattress disperses body heat and creates a cooler sleeping surface while retaining the pressure-relieving properties of traditional memory foam. Whichever you choose, our mattress collection eliminates uncomfortable pressure points that cause poor sleep, relieves aches and pains, and lessens tossing and turning throughout the night. Sleeping on a Sleep Options mattress will rejuvenate your entire body at night and will maintain good health and well-being during the day. Our Memory Foam and Latex Pillow Collection offers a variety of pillows. Whether you are a stomach, side or back sleeper, we have a plush and supportive pillow for you! 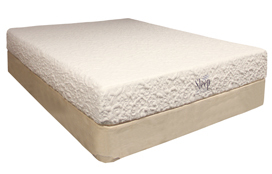 Our Memory Foam Mattress Toppers add a layer of support and comfort to any mattress. The Instant foundation is easy to assemble. All standard bed sizes are available, and work great with memory foam mattresses or latex mattresses. Copyright © 2013 Classic Brands, LLC.